Nancy Mwikali is counseling supervisor, CVT Nairobi. As a counselor at CVT, you always listen with your heart as well as your ears. You have to be fully supportive of the clients, who are refugees having survived torture. We give the clients an opportunity to be heard, and they have come to understand that at CVT, they can speak without being judged. I’m reminded of an incident where I interacted with a young man who looked shaggy and timid when he first came to CVT. The young man was initially very fearful to share his story; hence he tried to bottle up all his feelings. He had been captured and tortured as he belonged to a different ethnic group, and his father had been killed in the conflict. He harbored a lot of anger, guilt and bitterness against the people who killed his father. In addition to all this, while in captivity he underwent sexual abuse which further fueled his hatred especially towards the perpetrators. He was now in a new country, had a new identity and life as a refugee. He was naturally afraid and asked “What will people think of me?” The person he felt he looked up to the most was his father, who was no longer there for him. He felt helpless and wished he had joined the fighting in his home country. When he started attending the counseling sessions at CVT, he found a listening ear and people who were not judgmental but rather very accepting. Having never shared his story before, he was able to grieve his father which was very painful for him, and we helped him focus on the good memories and qualities of his father. At the beginning of the sessions I noticed that he held back his tears. When I asked about it he shared with me that his father had told him that crying makes one weak. I however told him the contrary and said it was okay to cry. With time not only did he shed tears for all the pain he felt but was able to smile at the end of it. It is experiences of healing like this that get me motivated to continue helping. Before joining CVT, I had worked in various hospitals and organizations both as a counselor and a social worker as I have a background in Counseling Psychology where I hold a Master’s and Bachelor’s degree. Early in my career, I had the opportunity to work with many clients who had survived gender-based violence (GBV) or were HIV positive. As a result, I pursued a certificate in HIV testing and counseling at Liverpool. While working in one of the hospitals, I came across refugees. Being from Kenya which is relatively a calm country, I had not experienced firsthand the world of refugees up close; it seemed like a foreign concept to me. I didn’t get it – I had never before seen how people need support in this kind of situation. I therefore started to slowly understand what the refugee life was like. Through this, I decided I wanted to be of help to refugee clients. My heart really went out to them. At a personal level, I wanted to use the background and experience I have gained to help people as much as possible. So I volunteered and took a job in social work as opposed to counseling. I saw this as an opportunity to grow. The refugee world was new to me, so I needed to learn and re-learn. This experience groomed me. 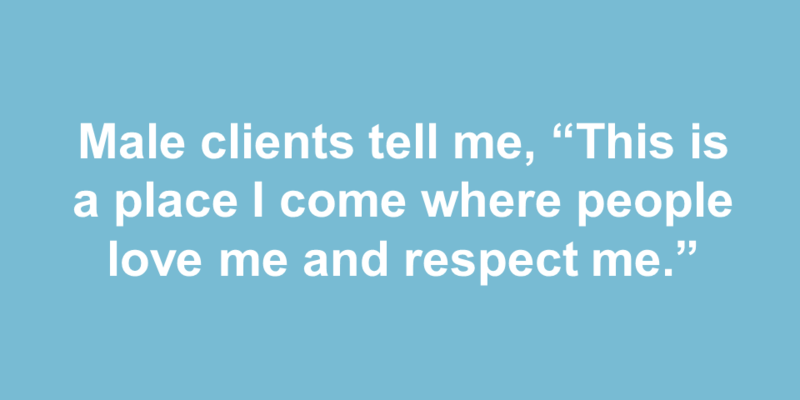 The stories the clients shared were sometimes so horrifying. First I understood that I had the professional knowledge, but second I had to deal with all manner of issues. For refugees, their problems affect all aspects of their lives. I learned with experience that I may not solve all their problems, but I can help and I will see a change in them. Without a doubt I’m a better person today. I have grown from this experience and was however still trying to find a way back to counseling work when I heard of CVT. I applied for a position as psychosocial counselor and I got the job. It was a gift. I felt like this was the place I always wanted to be. These are issues that are preventing them from healing. They are human. At CVT, we give them space to speak without being judged, where their role in our sessions is not to provide material things – where they can be themselves in a place where someone cares. In my work, I appreciate taking clients through the healing process, and I also appreciate the work of developing new programs like the Parenting sessions we have introduced. In this program, parents come to understand that with as much as what they went through, their children were equally affected. The traumatic experiences affect who they are. Parents in the sessions learn skills on how to communicate and problem solve with their children as well as effective parenting. This is a fulfilling job. 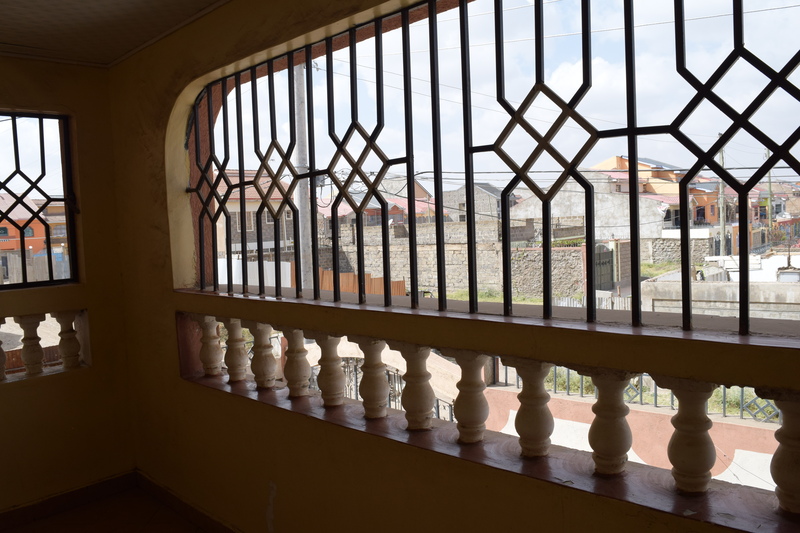 CVT’s work in Nairobi is made possible by a grant from the U.S. State Department’s Bureau of Population, Refugees and Migration; the United Nations Voluntary Fund for Victims of Torture; the S.L. Gimbel Advised Fund at The Community Foundation – Inland Southern California.